Saronite Ore tends to be a little more valuable than Cobalt Ore. It’s found in the higher level zones in Northrend and is a great ore to farm. If you’re farming Saronite Ore in Icecrown, you will also find a lot of Titanium Ore. You will need level 400 mining and you will want to be about level 75 before you try to farm Saronite, if you go to Icecrown, its best to be level 79 or higher. A flying mount is needed for Icecrown but you could probably get away without one in Sholazar, but honestly, just go buy one. Saronite Ore sells in large quantities to Blacksmiths, Engineers and prospecting Jewelcrafters. Its used to make gear while leveling and to find gems to level Jewelcrafting. It’s also used to make gear by Blacksmiths for the sole purpose of disenchanting for enchanting materials. Saronite Ore and Bars usually hold a stable price on your realm so you will be able to determine if its worth farming or not. 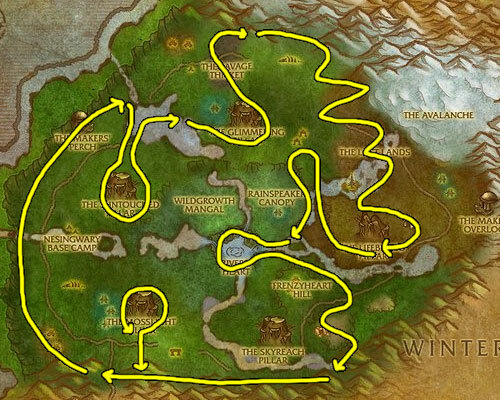 Keep in mind that not a lot of people travel to Northrend to farm Saronite, so you won’t have a lot of competition. 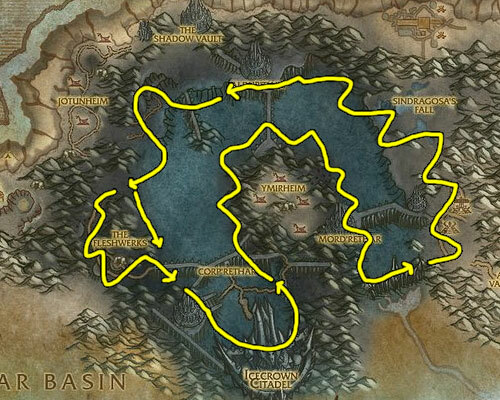 Update: You can make a lot of gold with Saronite, but if you want to step it up and make thousands of gold you should read my personal favorite guide.